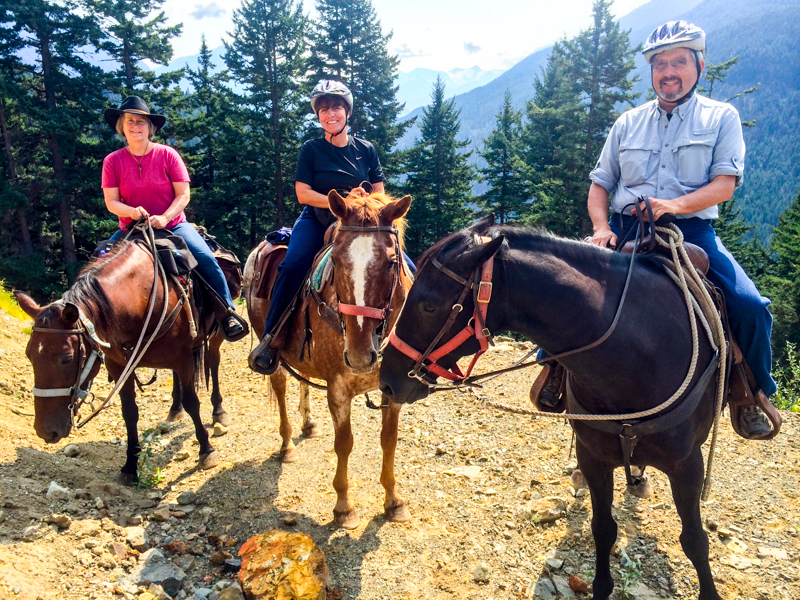 Join Pemberton’s registered herbalist, Evelyn Coggins, on a half-day horseback tour of the Birkenhead Lake region. 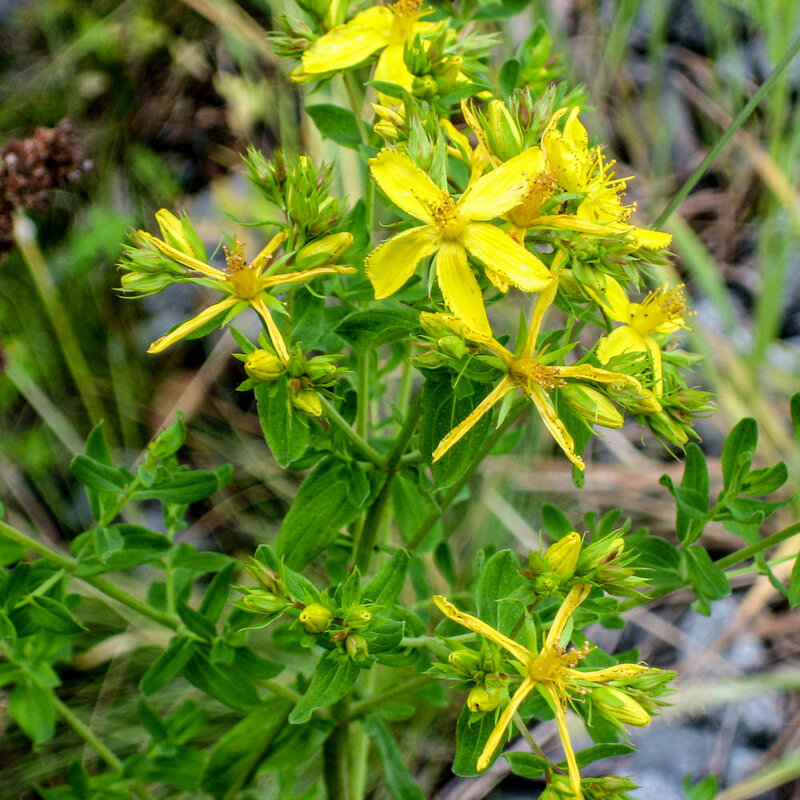 Ramble through forests, clearings and sub-alpine areas in search of plants that have been used throughout human history to treat disease and protect good health. Evelyn holds a masters degree from the University of New England in botanical medicine and is able to share a vast amount of knowledge on the therapeutic uses of local indigenous plants. 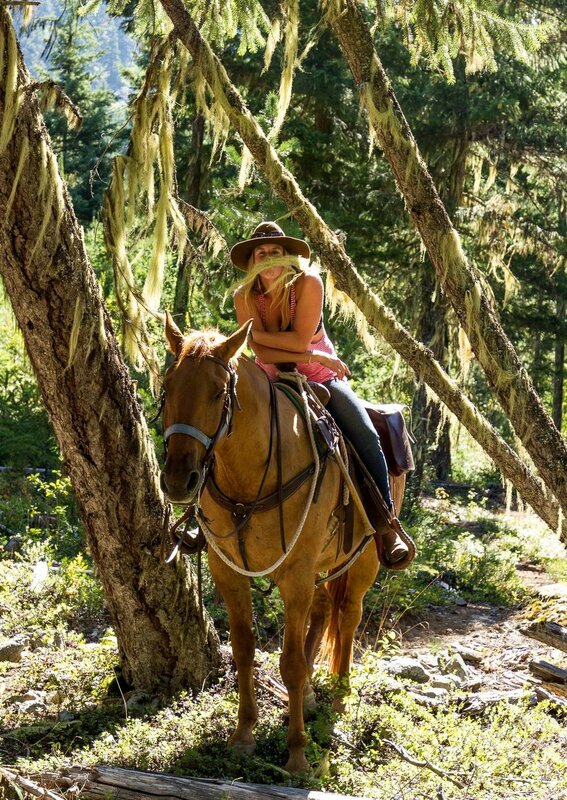 Learning about herbal medicine is fascinating in itself, but combine that with a horseback tour through the most beautiful backcountry imaginable and you have a truly incredible experience. 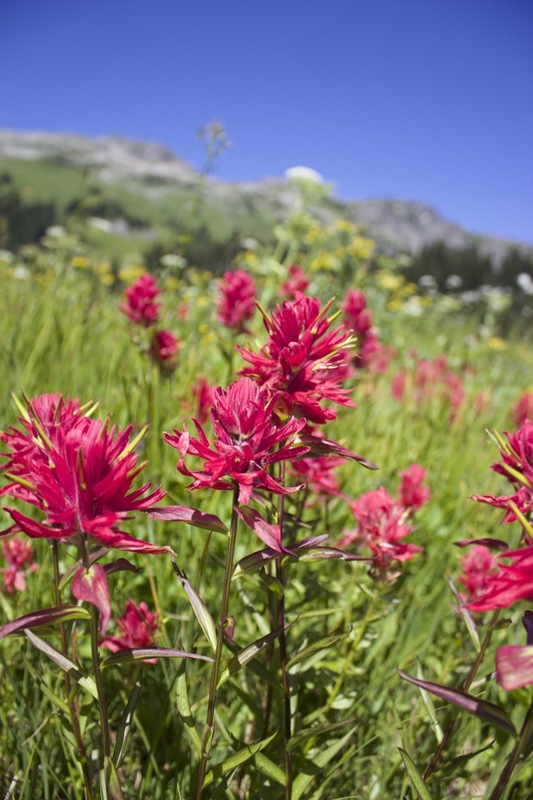 You are cordially invited to come and meet some of these plants where they live! Description: Mountain riding experience with various gaits based on rider’s ability. This is not your average Full Day Ride! 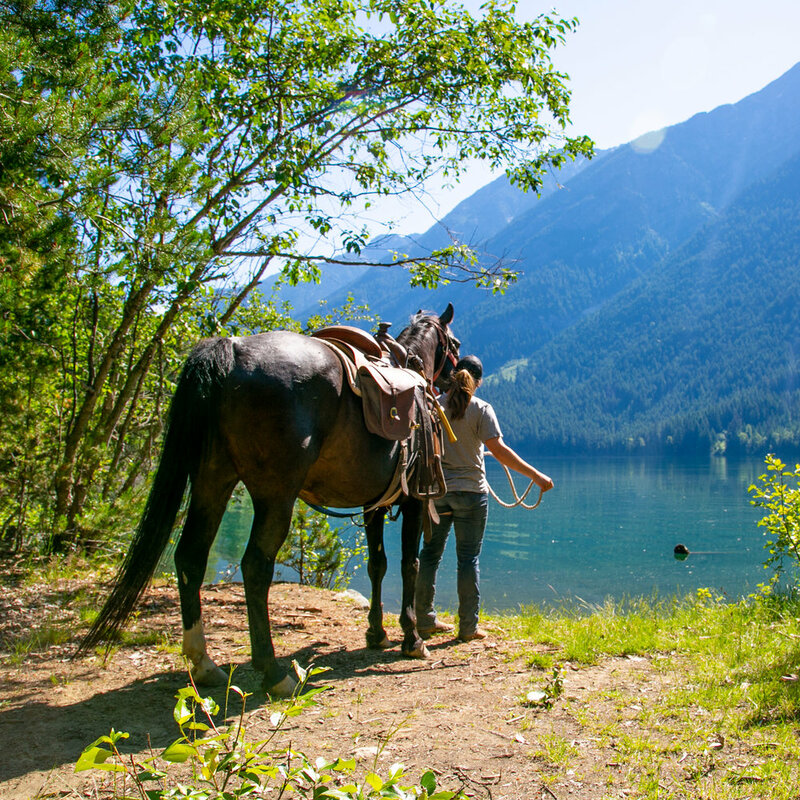 Explore on horseback and climb to the beautiful sub-alpine backcountry around Birkenhead Lake. See Fowl River Falls and Sun God Mountain. Under the guidance of our knowledgeable and friendly guides, you will climb steep and well maintained mountain trails, through quiet forests to reach scenic viewpoints. Marvel at the serenity and agility of your sure-footed mountain horse. Description: Mountain horseback riding experience with various gaits based on rider’s ability.